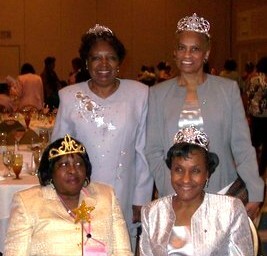 Jonnie Lewis-Thorpe, Joan Jenkins-Stewart, and Brenda Thomas were crowned Silver Stars. Silver Stars distinction is earned after 25 years of membership in Alpha Kappa Alpha Sorority, Inc.
LaVerne Solomon was crowned a Golden Soror, a distinction given for 50 years of membership in Alpha Kappa Alpha Sorority, Inc.
Elicia Pegues Spearman was awarded President of the Year for medium-sized chapters. 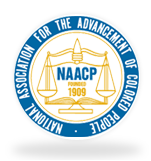 Elicia Pegues Spearman was appointed member of the International Standards Committee. Theta Epsilon Omega Chapter's immediate past president, Doris Dumas, won President of the Year at the sorority's 78th North Atlantic Regional Conference in April 2009. Ms. Dumas served as the chapter's president from 2005-2008. Under her leadership, the chapter won several distinctions including 1st place Chapter of the Year (Medium-size Chapter). Theta Epsilon Omega Chapter wins second place, chapter of the year (medium-sized chapter); 3 Heart Beats for membership reclamation and retention; and the 2008 Exemplary Chapter Award for its political action and policy outreach programs at the 78th Annual North Atlantic Regional Conference in New York City.